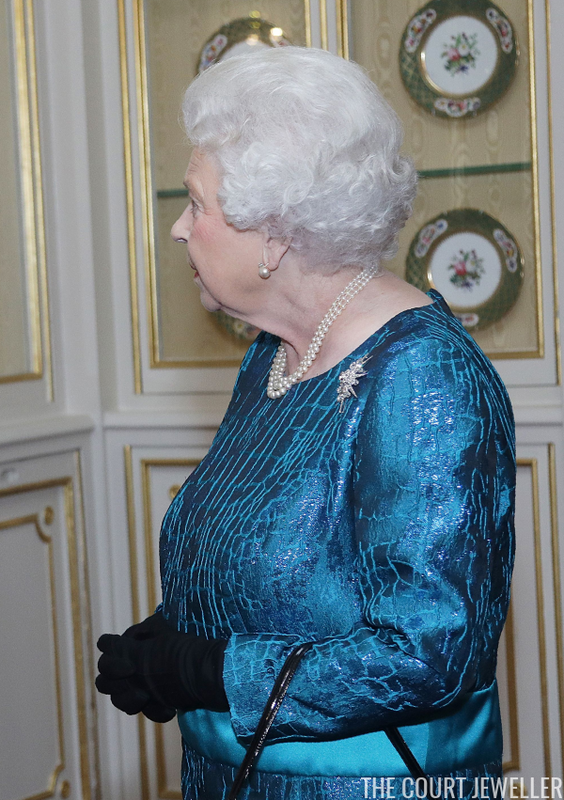 The Queen wore her usual pearls with one of my favorite brooches: the Jardine Star. 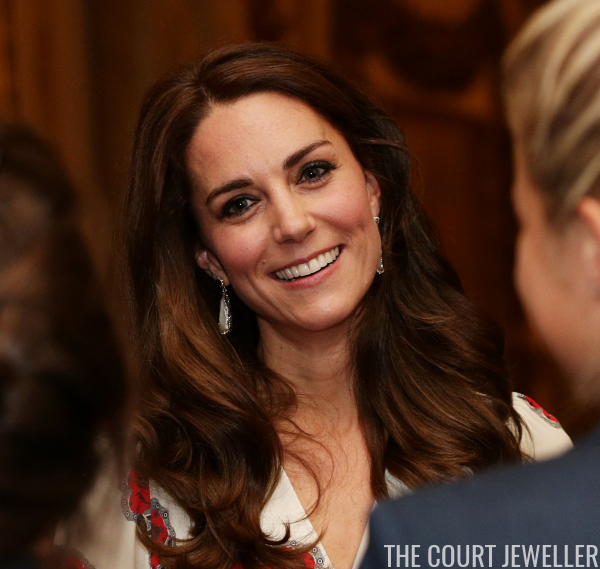 Kate chose a pair of earrings we recently saw her wear in Canada: the baroque pearl and crystal earrings by Soru Jewellery. 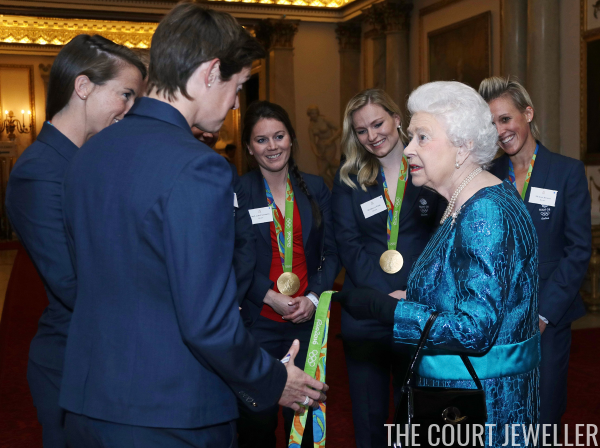 She paired them with a dress from Alexander McQueen.